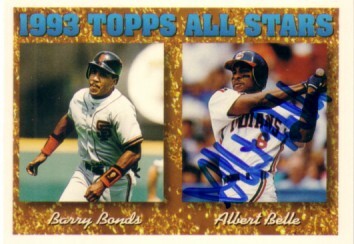 1994 Topps 1993 All-Stars card autographed by former Cleveland Indians slugger Albert Belle, a notoriously reluctant signer. ONLY ONE AVAILABLE FOR SALE. With certificate of authenticity from AutographsForSale.com.